A new collaborative centre led by the University of Newcastle (UON) will aid the development of innovative technologies to boost research into clean energy and contribute to the transition of the carbon economy. 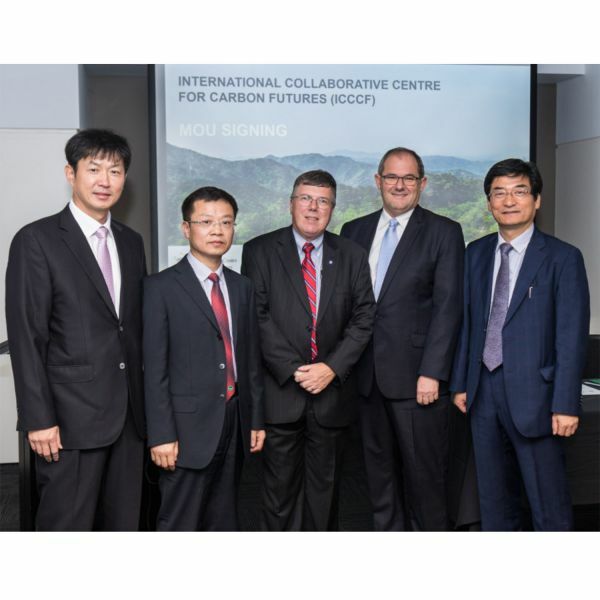 Led by Associate Professor Jianglong Yu at UON’s flagship Newcastle Institute for Energy and Resources (NIER), the International Collaborative Centre for Carbon Futures will bring together key international partners across Australia and Asia to deliver solutions to reducing carbon emissions and the environmental impact of carbon based energy production. “We’re focused on creating a cleaner future for our globe, and have established an impressive network of partners who have incredible knowledge and skills to bring to the table,” Associate Professor Yu said. The network will support information exchange, technology transfer, collaborative industry research projects and provide opportunities for students to boost the momentum of clean energy research. The Centre will focus on conversion, capture and energy storage engineering, sustainable technologies for the management of pollutant emissions, transformational technologies for better utilisation of carbon-based energy sources and advanced coking technology and alternative uses for carbon. NIER Executive Director, Professor Alan Broadfoot, said the International Collaborative Centre for Carbon Futures would drive vital research into a cleaner future by facilitating world-leading innovation and collaboration. “The Centre has wonderful capability to foster collaboration on a global scale utilising some of the world’s brightest minds, as well as provide opportunities for undergraduate and postgraduate students to further their research. “I look forward to the new network aiding our researchers and students to tackle global challenges and deliver solutions with impact,” Professor Broadfoot said. The Centre’s Australian opening was recently held in the presence of visiting industry and university partners from Korea’s Pusan National University and Korean South Power Company. The International Collaborative Centre for Carbon Futures is a partnership between NIER, Korea's Pusan National University, the University of Science and Technology Liaoning, Sinosteel RDTE, China University of Mining Technology, Taiyuan University of Technology, Korean Southern Power Company, Huaneng Clean Energy Research Institute, Korea Institute for Energy Research, Henan Polytechnic University and Naresuan University, Thailand.